This show is brought to you by our sponsors tonight, Big Tex Outdoors and FPF Training. Big Tex Outdoors main focus is high quality tactical and EDC gear. They offer 100% risk free shopping. That means if you change your mind for any reason they will refund the purchase price, shipping costs and pay for the return shipping! So Total risk free shopping! Check out their website "bigtexoutdoors.com". USE CODE - “CCRadio”for a 15% discount at checkout and remember, risk free shopping! A huge shoutout to our $10.00 per show Patreon pledge Mark B., our $5.00 per show Patreon pledges Christopher D., Robb J., Frank, Ceeje, James W. and Russ A.! We thank you so much for your continuing support! 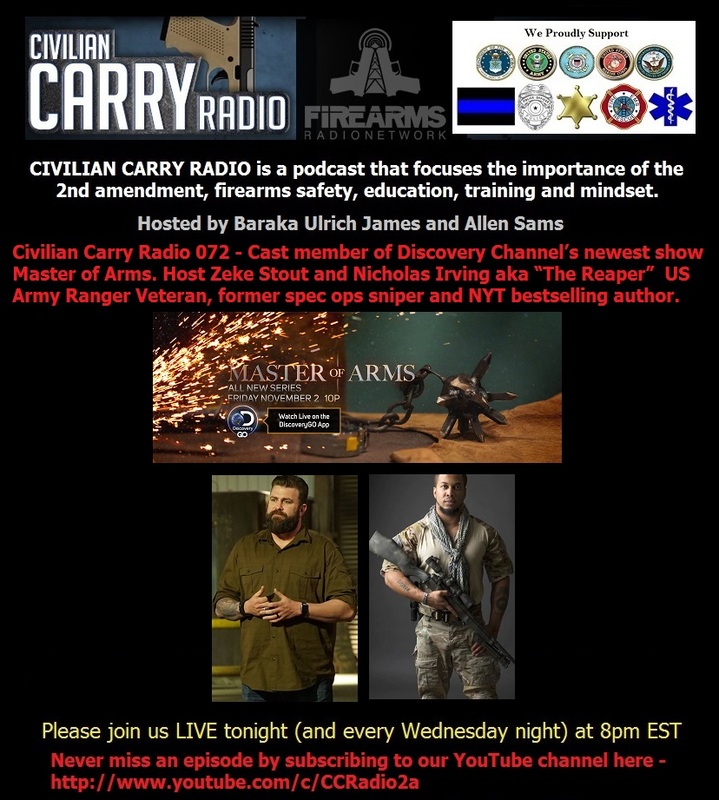 Tonight’s guests are from the cast member of Discovery Channel’s newest show that premiered last Friday November 2nd 2018 Master of Arms. Host Zeke Stout and Nicholas Irving aka “The Reaper” US Army Ranger Veteran, former spec ops sniper and NYT bestselling author. Please check out our website for a list of our industry partners discounts as well as our complete show notes. Big Tex Outdoors: Check out their website "bigtexoutdoors.com". 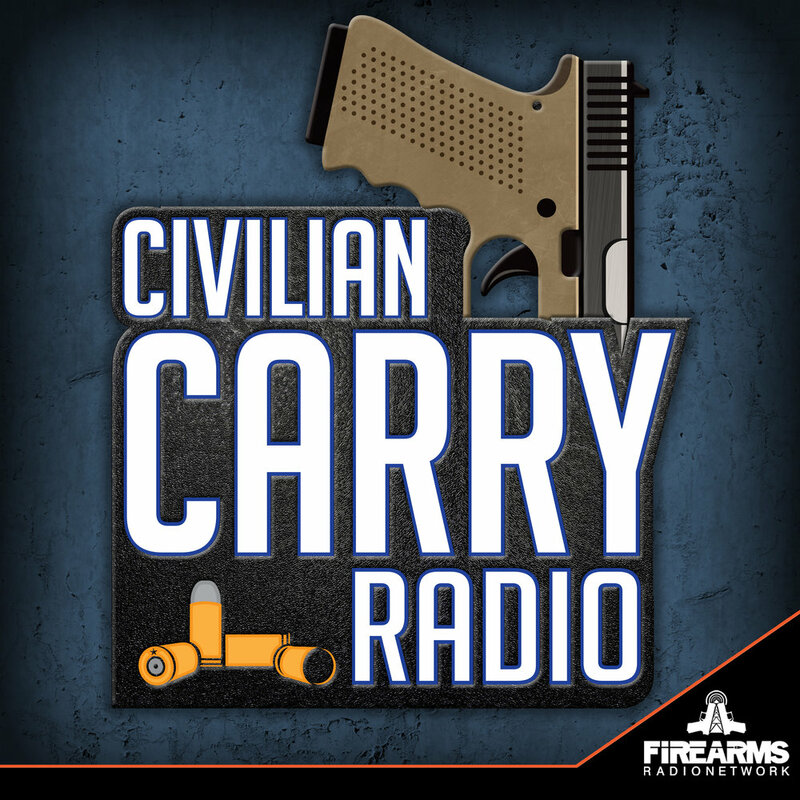 USE CODE - “CCRadio”for a 15% discount at checkout and remember, risk free shopping!